It was in 1863 that Gustave Eiffel created his first company. It was she who, growing up, made him a rich and recognized man. It is at the origin of the famous Eiffel Tower, but also the internal structure of the Statue of Liberty and the many bridges road and rail. Unfortunately caught up by the scandal of the Panama Canal he had to stop his activity to resume it in another form. When he died in 1923 his business continued. She experienced many adventures before finally disappearing in 1975. Here is on this page the history of different companies from Gustave Eiffel. Note that these companies have nothing to do with the Company Operating the Eiffel Tower, a commercial structure in charge of the day-to-day running of the Eiffel Tower, the safety of visitors, the sale of tickets, etc. 1863-1889 : "G. Eiffel et Cie"
Gustave Eiffel is above all an outstanding entrepreneur, whose precocity is matched only by his talent. At the end of his studies he began a career as an employee, as is often the case with future entrepreneurs. He is hired by Charles Nepveu, a manufacturer of steam engines and railway equipment. He will make his debut there but stayed there only one year since, from 1857 is taken the responsibility of the office of studies of Pauwels and Company. It is in this company that he will make his first works of art. Then, in 1862, he left the Pauwels and Company and set up consulting engineer on his own, then, the following year, created his own company with which he created a viaduct of the railway line between Commentry and Gannat . The "G. Eiffel et Cie" was born, it is this company that will be built a huge number of works of art, including the famous Eiffel Tower or the internal structure of the Statue of Liberty. Unfortunately for him Gustave Eiffel is overtaken by the scandal of Panama. He was involved as the builder of the canal locks, and this choice which led him to accept this site will direct him straight towards the end of his industrial activities. On December 31, 1889 the limited partnership "G. Eiffel et Cie" lays down the balance sheet definitively. We can imagine that Gustave Eiffel was surrounded by a large number of collaborators during this fantastic project which consisted in building this tower. In his book "The Tower of 300 meters", published in 1900, he lists the staff of the "Eiffel House" who participated in the development of the tower. This list is repeated here, by service. His interest is multiple, but it is especially interesting to read names of the century before our century, a time when the few foreign names were noticed in a list with a frankly French connotation. Another interest is finding your own surname in this list. If this is your case, perhaps you have an ancestor who once worked on the Eiffel Tower. It's up to you to do some research, if you feel like it. In the meantime, here is the list. It is divided into 4 parts, depending on where the staff has mainly worked. MM. Bezout, Bourdon, Dantzig, Deniau, Dumoulin, Gaillardon, Gré, Guyon, Henriet, Kœchlin (H.), Le Bouvier, Levaire, Michaut (O. ), Michel, Morel (R.), Morel (E.), Mijuin, Pennamen, Rouxel, de Seilhac, Schœngrun, Tavel. MM. Beaubrun, Bordet, Caucé, Chabalier, Court, Derien, Durand, Genaille, Godeberge, Legent, Mareschal, Morel (E.), Peltier, Salleyrettes, Schlesser, Stiennon, Vildé. MM. Delannoy, Mandar, Menouillard, Rouillard, Sénèque. MM. Anquetin, Bohn, Bouet, Bourget, Buynand, Fessard (P.), Fessard (G.), Fourneau, Munier, Quérité (Ch. ), Thiriot. MM. Baziret, Butticaz (L.), Butticaz (E.), Chirouze, Devaux, Le Brun, Mattei, Renault, Talot, de Wever. MM. Anciaux, André, Bettingcr, Bichet, Bignon, Boscus, Boule, Bunouf, Cavoit, Cerveau, Chemidlin, Choblet, Clément, Combe, Compoint, Coupé, Cuny (père), Cuny (fils), Deckcert (père), Deckert (fils), Denizot, Derrien, Deveaux, Develay (père), Develay (aîné), Develay (jeune), Fleuret, Froideveaux, Georges, Gigant, Gille, Goupil, Gourgeon, Guillemin, Ginther, Guiot, Hazewer, Henneckens, Herouard, Hippy, Hitzel, Hocque (G.), Hue, Imbert, Jarry, Jenger, Laborie, Lamblet (fils), Lardé, Lasgoutte, Lataillade, Leblond, Lecoeur, Léonard, Leroux (aîné), Leroux (jeune), Leroy (père), Leroy (fils), Lesage, Letang, Locateli, Manini, Marceau (père), Marceau (fils), Marceau (L.), Marceau (T.), Maréchal, Martel, Martin, Mauroy, Meyer, Meyer(P-), Morel, Morvaille, Moutcau, Noël, Panozzo, Pardon, Patry, Pavy, Pernet, Pinel, Ponsard, Pringuez, Quin, Ragot, Ratazzî, Robert, Roblot (fils), Roché, Stacoffe, Thiry, Thomas, Thomelin, Tonneaux, Tremblay, Truchot, Veronèsi. MM. Blondeaux, Janssens, Leroy, Quérité (O. ), Sotty. M. HOLFELD. MM. Adam, Budin, Dupieux, Leclerc, Lefebvre. MM. Damiens, Laine (D.), Laine (V.), Michaud, Munioz. MM. Balans, Gaujarenques, Girard (L.), Guellec, Léger, Petitcuenot, Quéleux. MM. Alalinarde, Baudrand (L.), Caillat, Calvi, Dieuzaide, Duflos, Girard, Guilloux, Gouet, Juillet, Julia, Lanfranchi, Laugé, Mandet, Menu, Milhorat, Soret. MM. Alletru, André, Bartoloméo, Baudrand (A. ), Bauducel, Bastien, Bèchon, Beffarat, Berthet, Besson, Boissy, Bories, Boué, Brignon, Bruyelle, Calmels (S.), Calmels (H.), Calzia (A), Calzia (J. ), Cambours, Carie, Caussadette, Chambrin, Charpentier, Chossang, Coutanceau, Dalby, Daste, Daydé, Démon, Diziain, Dumontel, Echaubard, Fantout, Février, Fougeroux, Georgin, Gourdelier, Gourio, Granjard, Guy, Hureaux, Jambu, Ladouce, Lalonde, Lamarque, Larivain, Latournerie, Lebayle, Legoubey, Lépine, Levrat, Lioret (A. ), Lioret (G.), Maguin, Malochet, Marcel (A. ), Marcel (E.), Mossin, Mince), Miramand, Mirasson, Moireau, Moscati, Moyne, Nègre, Nicolle (E.), Nicolle (L.), Pages, Paillardan, Pallas, Parant, Paris, Peynard, Pomiers, Roche,. Rochefort, Rondeel, Roumier, Rous, Ruffier, Sauvat, Scagliotti, Sempé, Téron (A,), Téron (B. ), Téron (P.), Thiébaut, Tisserand, Touzi, Valette, Vidal (J. ), Vidal (L.). 1889- 1893: "The Compagnie des Etablissements Eiffel"
Of course, all the patents that were filed, just like the qualification of the staff and the premises and other tools of work had a value, Gustave Eiffel recreated immediately another company, "The Company of the Eiffel Establishments", whose registered office was 35 rue Pasquier, in Paris (Statutes deposited at Me Dufour, notary in Paris, February 28, 1890) and who benefited from everything, including workshops of Levallois-Perret, commercial agencies in the colonies, and mostly orders in progress. Eiffel was the chairman of the Board of Directors. The company continued its activity normally, especially for the exploitation of dismountable and economic bridge patents. But Eiffel was worn out by the Panama scandal, and the exploitation of the tower, which was not yet named, was quite addictive. Moreover, he had set out on many scientific experiments that his turn allowed him, and was gradually specializing in aerodynamics, defining principles that are still used today in aeronautics. Still, in 1893 an extraordinary General Assembly decided a capital reduction and Gustave Eiffel withdrew from the Board of Directors. The post was recovered by Maurice Koechlin, his faithful engineer who ran the design offices. That same day, the company changed its name to "Levallois-Perret Construction Company". 1893-1937: "Construction company of Levallois-Perret"
The great innovation of the second nineteenth century is that, alongside consumer goods, capital goods and railway equipment, especially, are of major importance. These equipments had to be supplied relatively quickly, and to be very reliable, especially in the conditions of use of the colonies, often in humid and hot climate. The company had improved its removable bridge system and it was he who made his prosperity. These bridges, bolted instead of riveted, were manufactured in large quantities in the workshops of Levallois-Perret, stored and sent according to orders everywhere on the planet. The company had a stock, which made it possible for all workers to work, even during periods when the order book was empty. The primary interest of these bridges was that they were so simple to assemble that even unskilled workers could quickly assemble them, so labor was cheap. During the First World War orders fell sharply on the metropolis, but overseas they remained relatively important, which allowed to pass this difficult period. At the end of the war orders in metropolis arrived to re-equip the Northeast of France, hard hit, but it did not last very long. Then began a new difficult period, where the metropolis as the Overseas was equipped with railway and road bridges and therefore no longer needed to manufacture. It was during this period that Gustave Eiffel died in 1923. However, his name was used 14 years later, when the construction company of Levallois-Perret was renamed "Former Eiffel establishments"
This name change does not augur a change in development strategy, it is just the continuation of the previous activity. The activity focused mainly on new French land such as Algeria, where everything remained to be made, while the overseas territories and the metropolis were finished with regard to the construction of communication infrastructures. The former Eiffel establishments still manufactured metal bridges for Algeria, but in parallel a new construction material made its appearance: The reinforced concrete.1937-1960: "Former Etablissements Eiffel"
This name change does not augur a change in development strategy, it is just the continuation of the previous activity. The activity focused mainly on new French land such as Algeria, where everything remained to be made, while the overseas territories and the metropolis were finished with regard to the construction of communication infrastructures. The former Eiffel establishments still manufactured metal bridges for Algeria, but in parallel a new construction material made its appearance: The reinforced concrete. The Eiffel company had always specialized in metal, and although it has a general masonry activity, it did not see the opportunities that could take this activity. The first reinforced concrete bridge was manufactured in 1897 by Hennebique and since the proportion of bridges thus conceived increased regularly. In the 50s it took a large enough share to worry the leaders of Eiffel, who began to see orders coming only from major industrial sites and more public works. it is in this context that the second world war comes, a period of forced inactivity both for lack of orders and the impossibility of finding the raw material, the few resources being dedicated to the effort of war then to the occupant. At the end of the war the activity of the workshops could resume, and with a rebound effect: Not only was it necessary to rebuild the infrastructure of the country, but it was necessary to make up for the lost time during the war, many sites having remained in waiting or being deferred. Finally, the economic recovery of France has caused the opening of a large amount of various sites, but it is in concrete that are manufactured works of art. If the reinforced concrete requires skills in metals, the Anciens Etablissements Eiffel are eliminated the role of prime contractor. Following this state of affairs the company restructures itself in 1957. The workshops are transferred to modern premises at Blanc-Mesnil, the head office is located at 23 rue Dumont d'Urville, Paris. It specializes in the manufacture of pylons, hangars, workshops and overhead cranes. Its shipyards are, for example, the Boulogne-Billancourt skating rink, the Contrexeville bottling plant or the France pavilion at the Brussels World Fair in 1958. All these buildings have a metal roof, the metal There is a lot of it, but it's all about traditional buildings. Suddenly, with the 2 activities in parallel, the leaders preferred to create a subsidiary specialized in the general masonry, the "Société Eiffel d'entreprise générale", while the parent company performs the activity "Metal Construction". This activity was merged with the Baudet-Donon-Roussel establishments, a new entity was born. 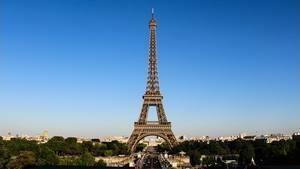 The "Etablissements Eiffel" is the name given in 1960 to the merger of the main activities of Eiffel and Etablissements Baudet-Donon-Roussel. 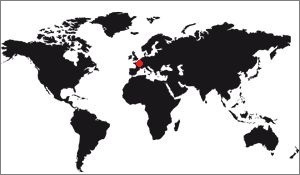 This new company was in charge of all the metal works they received order in France, and in particular in overseas where the activity had a little resumed. Alas, a new danger was waiting for the company: The independence of the colonized countries. It was from the 1960s that the countries colonized by France began to gain independence. The new governments are turning to companies around the world to order their sites, Etablissements Eiffel find themselves in a global competition while until then they were only nationally. Being established for a long time plays in their favor, but it's not enough to get the contracts. As a result, the group was reorganized in 1965: the Société générale d'entreprise générale merged with the Paris Society for Studies and Construction, another company of the Eiffel Group, and with the African Society a company whose head office was in Pointe-Noire, Congo, and a part of the directors were in the direction, then with Etablissements Eiffel. The result is a larger company, better equipped to fight internationally, the "Eiffel Company". The Eiffel company did not really last. Faced with tough competition and a changing world, the heiress of the company created by the engineer Eiffel ceased its activity in 1975 following a judicial liquidation. This marks the end of the Eiffel companies, whose adventure began in 1863. It will have lasted more than a century.